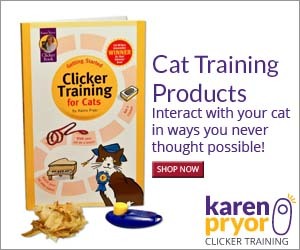 Why does your cat meow continuously while playing with their toys. Cats, even though domesticated, still have their wild traits embodied in them and because of this they will show certain behaviours that we may find a bit strange or odd. Some of us or maybe all of us must have had a cat that carried their favourite toy around in their mouth and meowed continuously. You would notice that the “meow” sound is a very different sound from her normal “meows” when she is either hungry or wants to play. This specific type of call is most likely an “attention seeker” call. Yes, she wants your attention for her prized catch of the day. In the wild, when cats catch their prey it is normal for them to take it back to their territorial spot to either eat it or hide it for a later time. This would usually mean hiding the dead prey under dry leaves or soil so that it will become depleted instead of rotting. Another trait would be to carry kittens around in their mouth from one place to another. As part of the inner wildness of your cat, playing also teaches a cat all the different skills of hunting and catching prey. It provides both mental and physical stimulation in chasing, pouncing, stalking and searching for its prey (in this case, their toys). It is very important for the well-being of your cat to be able to go through the whole process of the hunting phase and to be able to end with the prize, so toys which can be physically touched are much better than lazer pointers which can never be caught. When your cat starts to make a big fuss about her toy “prey” this means that she is seeking your attention. She wants you to see what she has caught and may even want your approval for it. Showing your approval by rewarding her with a treat or some “petting” will make her feel like she has achieved something. Mother cats would carry back their catch of the day to their kittens for them to learn how to hunt and practise on. Another way of showing your approval would be to play with your cat and her toy. Your cat may put their toy in all sorts of places such as on their bed, cat perch, on the couch, or even in their food bowls. This is done because your cat needs a safe place for her toy (her prize). She will hide it in these places, that she considers her territory for later use, as for the wild, cats would hide their prizes from potential predators. For cat moms they will usually carry their kittens from one place back to their safe spot. These distinguishable behaviours are all part of what cats are made of, we may never fully understand them but they do have their reasons for what they do. All we need to do as a cat parent is watch, learn and make them feel safe and as comfortable as we can.